I have the impression, that the dot under the question mark is not consistently hinted, which only matters for sizes where the dot is bigger than a pixel. The screen shot shown is with full (manual hinting), the dot forming the base of the ? question mark is getting squeezed up and distorted into a non-circular entity (height not equal to width). 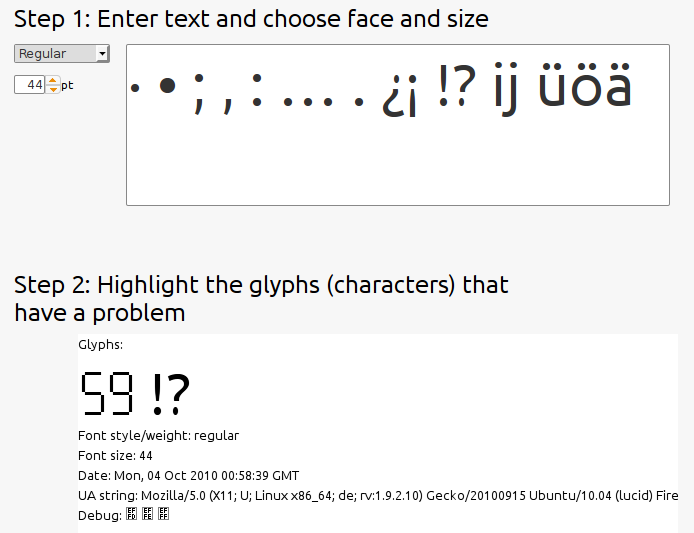 The glyph in question is not a composite (although perhaps if could be made into one), so hinting is possibly not getting applied automatically.